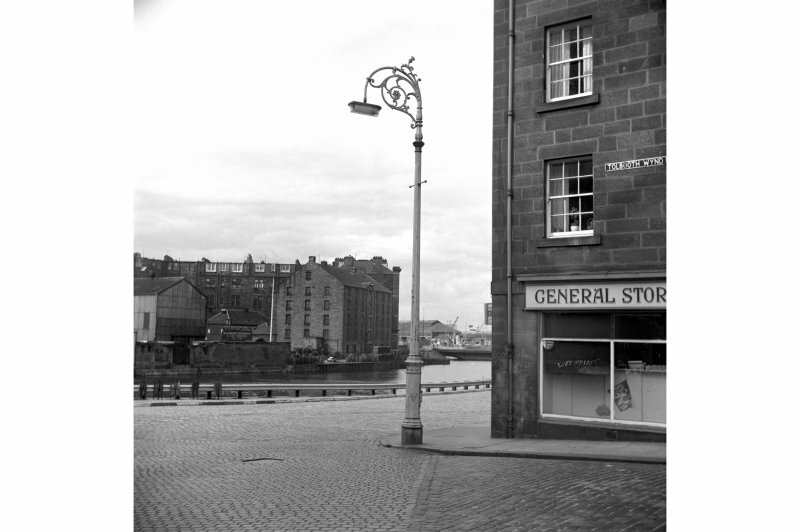 Edinburgh, Leith, the Shore & Tolbooth Wynd. View of lamp post at corner of streets. Edinburgh, Leith, the Shore & Tolbooth Wynd. 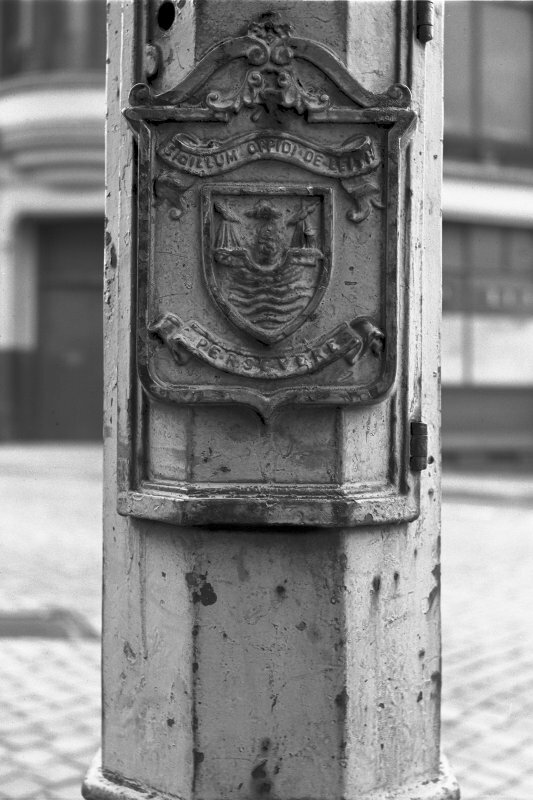 Detail of lamp post at corner of streets. 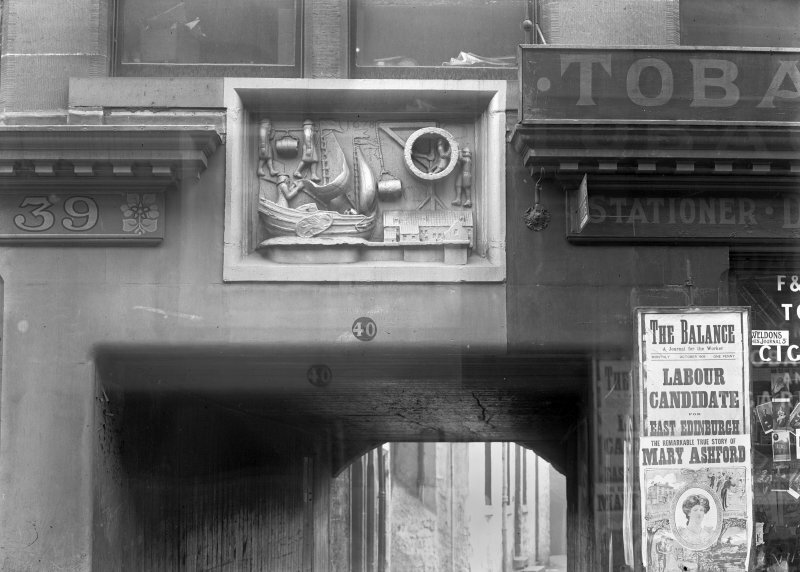 Edinburgh, Tolbooth Wynd, general. Detail of no. 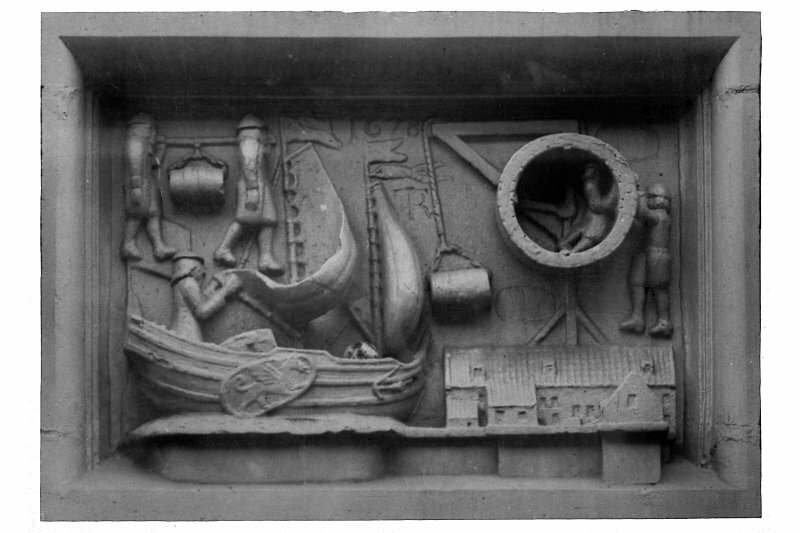 40 showing carved stone representing import of wine. Edinburgh, Tolbooth Wynd, institute building. Edinburgh, Tolbooth Wynd and Water Lane, tenement. O'Brian sketches - pencil view from foot of 1817.